Maintain a spotless workplace with a dependable, round-the-clock janitorial presence. Medically-minded cleaning care for your health care clinic. Sterilization treatments that stop health care-associated pathogens in their tracks. Top-to-Bottom Disinfection from the waiting room to the operating room. From factories and gyms, to businesses and health care facilities, the team at Kelly Building Maintenance stands behind the level of cleanliness they provide. Let our sanitation squad bring the Kelly Building Maintenance standard to your building. With over 30 years in janitorial cleaning, Kelly Building Maintenance has been providing high-level cleaning to buildings and businesses throughout the Pacific Northwest and the surrounding areas. Buildings throughout the Pacific Northwest have elevated their sanitation standards by trusting our cleaning experts. We work closely with every office, building, or medical-facility personnel to know how to do our jobs best. We always encourage feedback and are always willing to accommodate any special cleaning requests you or your employees might have. Through day-after-day dependability, we build long-lasting relationships with all of our clients and aim to become your partner in cleaning. Our goal is always complete sanitation and consistent service you can rely on. Everybody on our team is a detailed sanitation expert who’s committed to cleanliness and bringing the best out of every building they treat. Because we know you’ll be happy with the work we do, Kelly Building Maintenance guarantees 100% total satisfaction, 100% of the time. Our team is ready to permanently enhance the cleanliness of your work or medical environment. Complete Sanitation for Medical Facilitys, Medical Offices, and Health Clinics. Pathogen control and point-of-origin containment. Day Porting Services and After-Hours Cleaning. Gym, Food, and Manufacturing Cleaning Treatments. Never worry about getting that spot on the carpet cleaned or that corner of the room taken care of. With a full-service package by Kelly Building Maintenance, we take our instruction from you up front and never leave anything untouched. 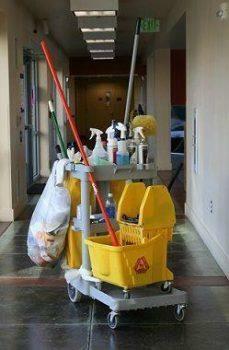 Our team guarantees to bring you the highest standard of cleanliness. Our cleaning technicians are the best in the business and with daily field audits by our long-time supervisors, we ensure that level of cleanliness you expect is being upheld. Kelly Building Maintenance began in 1986. For over 30 years businesses and medical-facilitys have been counting on us to enhance their facilities with an unparalleled standard of cleanliness. Our medical cleaners undergo intense annual training to make sure your medical-facility, health clinic, or medical office is as disinfected and as clean as possible for patients and staff. 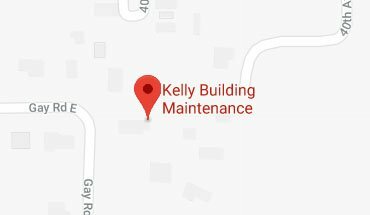 With Kelly Building Maintenance, we take cleaning off your hands. 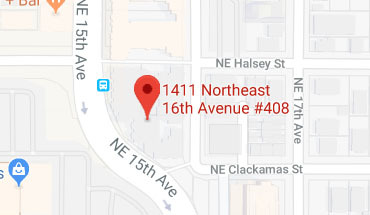 Cleaning strong for over 30 years, we are confident that our easy-to-work-with crew provides the best janitorial service the Pacific Northwest has to offer. Give us a call today for a free estimate and to learn what the Kelly Building Maintenance standard could mean for the cleanliness of your building or medical-facility.